You are here: Home > What Are Services Like? PLC’s Mission statement is “Connecting people to Jesus and one another.” This mission, coupled with PLC’s Vision in partnering with the Holy Spirit to evangelize and transform our families, community, city, nation, and world, create an expectation centered on connections and fellowship within and outside of the body of Christ as well as with Jesus. 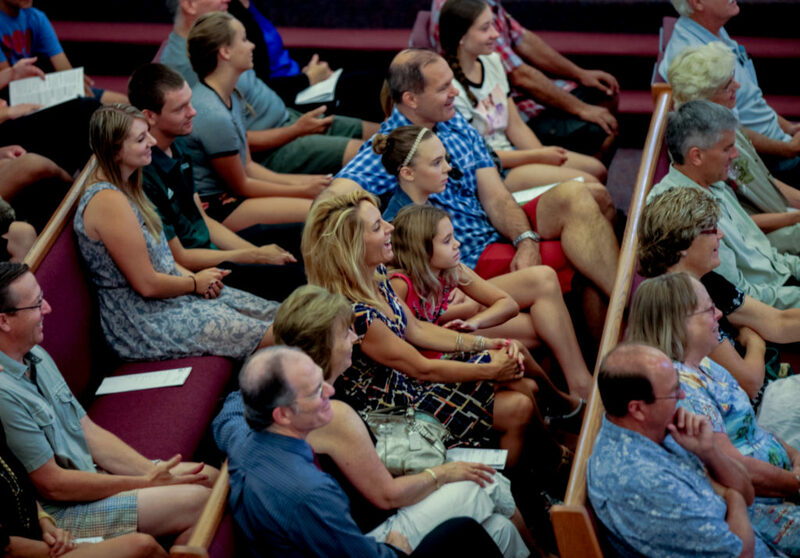 Our 8:00 am and 9:30 am Sunday services are aimed at connecting with the Father, Son, and Holy Spirit. This is done through the singing of songs inspired by the Word of God, the hearing of God’s Word and a challenge in application of God’s Word through weekly messages. Our 11:00 am service brings out the rich traditions of our Lutheran heritage with use of liturgical aspects following service settings outlined in the Lutheran Book of Worship (LBW). Music is led by a song leader with organ accompaniment. No matter which service you attend, come knowing that there is a place for you. That we are family-friendly, music-loving, casual, and open to all, while being serious in our faith and devotion to Christ. Questions are welcomed and encouraged. Stop on by and see how you can fit into this community of disciples.